Dark Spots can be really problematic and are really difficult to get rid of. 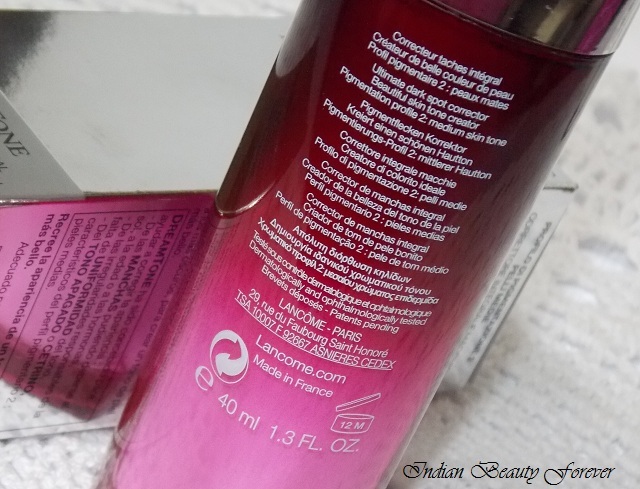 I will review Lancôme Paris DreamTone Ultimate Dark Spot Corrector that has been formulated in 3 different variants as Pigmentation profile 1, 2 and 3 that are suppose to target redness, dark spots and discoloration respectively. Dark spots can be related to hormones, sun exposure or aging. 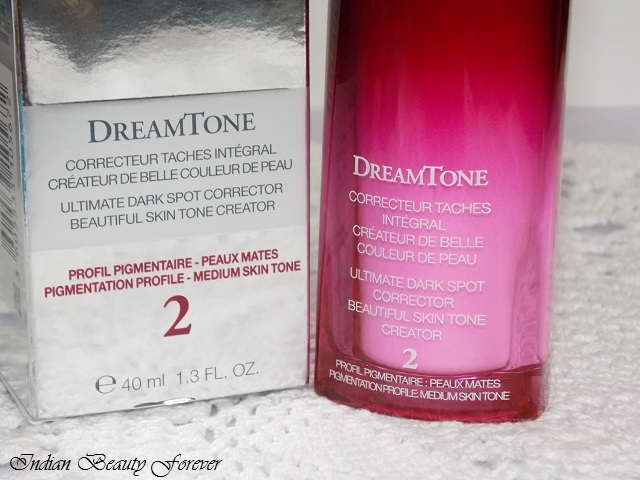 I got DreamTone pigmentation Profile 2 for me which is for medium skin tone. 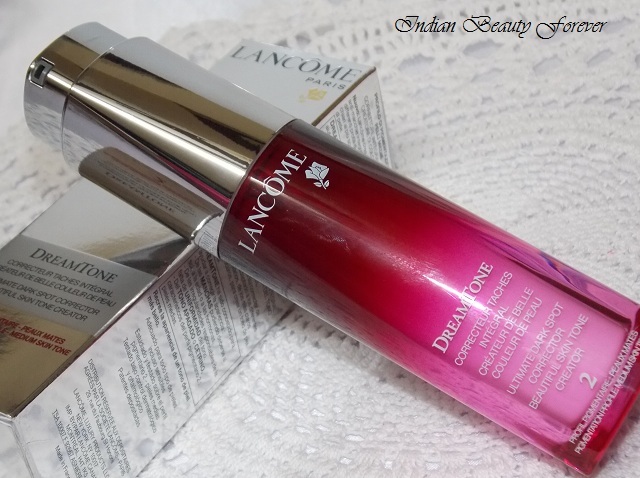 Price: Lancôme DreamTone is priced at 6900 INR for 40 ml and is available at all the Lancôme stores. 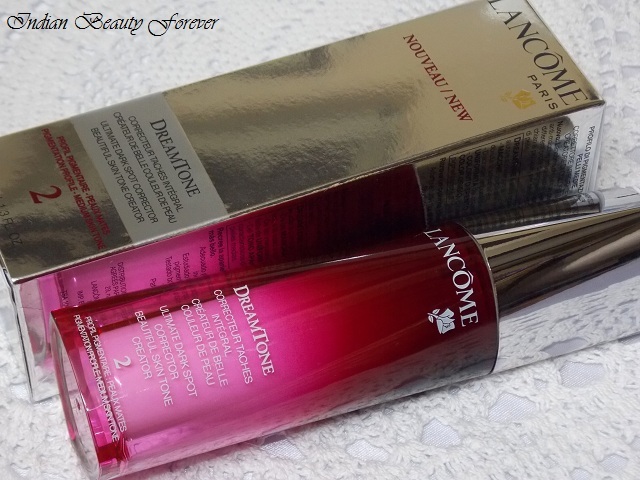 Lancôme DreamTone comes in a luxurious packaging with looks appealing and pretty enticing sitting on the table. 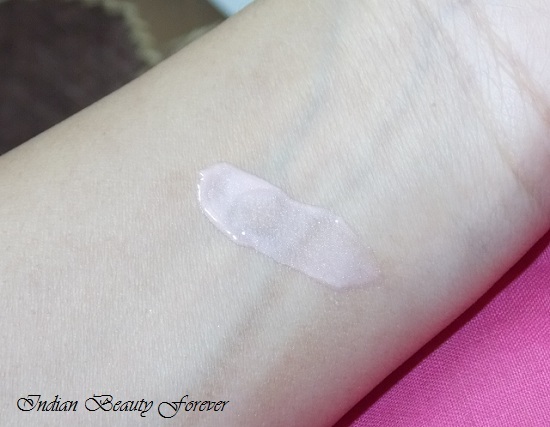 The product is peachy creamy colored with a rosy fragrance that gives the feel of a satiny yet serum like on the skin. Once it gets fully blended and absorbed into the skin, it leaves a subtle glow due to which I can replace this with my tinted moisturizers. I haven’t felt any greasiness as soon as I am done applying it though after a couple of hours, my combination skin feels greasy especially on the T zone which is oilier than the rest of my face. Therefore, I had to bloat or use a compact to get away with the shine and grease. I would say it has improved the texture and my skin feels quite hydrated and supple but as far as the dark spots are concerned, I have not seen much improvement. Now, I am not using it currently as I started using it in the beginning of February and this bottle lasted for around 2 Months and even though it was making me greasy after sometime I still continued using it since I really want to see the dark spots fading away but honestly, there was nothing much that I can boast of. At that price, I was expecting more from this product. Having said that, it will suit normal to dry skin better than those of you who have oily skin. 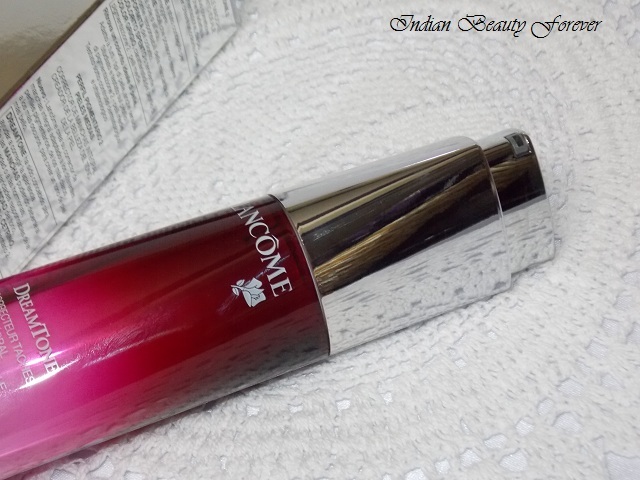 Take: Lancôme DreamTone with its luxurious, alluring packaging and rosy fragrance can be a good everyday moisturizer that gives a glow and improves the skin texture though it could have done something significant when it comes to dark spots reduction. If you don’t mind the price and want go for a luxury high end skin care product to give that extra glow then this is the one that can be tried. Do keep in mind it can be tad greasy for oily skin.